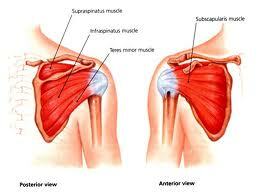 This is the last of the rotator cuff muscles and it’s the largest and strongest. 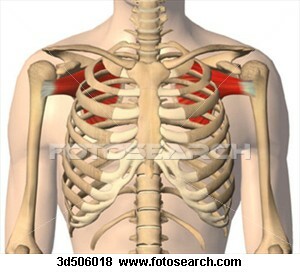 (hence the name) and you can’t really get at it from the front because of the rib cage. If however you put your right hand behind your back then take your left hand around your back and try to dig your fingers underneath the medial border of the scapula you can get at the origin of this muscle. 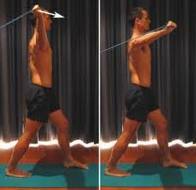 In this position you can palpate them through the trapezius and rhomboids that lie over top. It is the largest muscle of the rotator cuff allowing it to create 1725 N of internal rotation force at 90 degrees and 1297 at 0 degrees of abduction (Decker et al. 2003). However at zero degrees of abduction the pectoralis major, latissmus dorsi and teres major all assist in creating internal rotation while the 90 degree version didn’t recruit these bigger muscles allowing you to isolate the subscapularis. 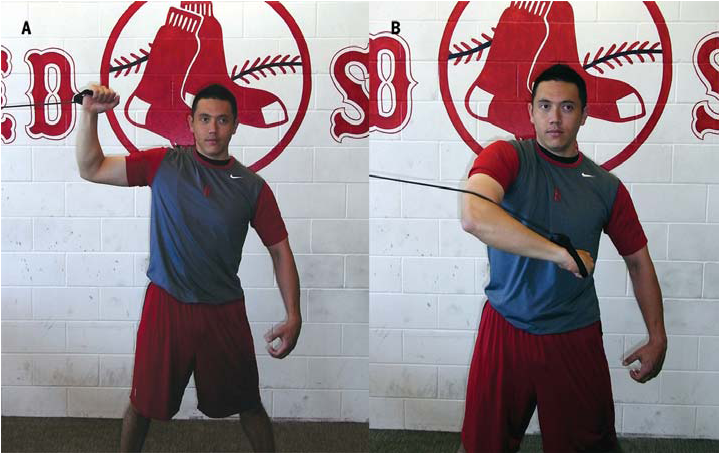 During the throwing motion the subscapularis help depress the humeral head to prevent injury but it also contributes to the act of throwing by providing some internal rotation power for when your arm starts to rotate to deliver the ball. arm either tucked at the side or at 90 degrees in the field goal position. As mentioned above the 90 degree version has the benefit of not have bigger muscles like the pecs and lats take over allowing you to target the subscapularis specifically but it this position isn’t as stable compared to when your arm is tucked in at your side. All of these exercises are great plus it nice to mix things up so you aren’t the same exercise every day. Of the rotator cuff muscles it is the least likely to be weak due to its size and the fact that it gets used every time you throw – ensure that you hit the other rotator cuff muscles prior to attacking the subscapularis. 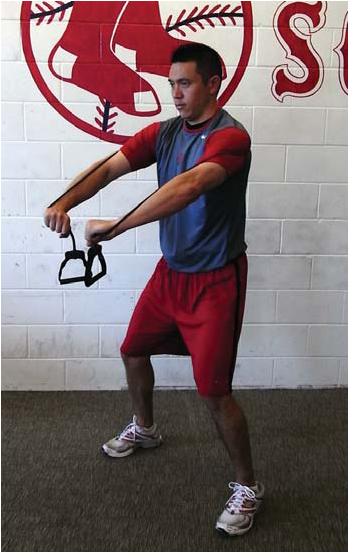 Be sure to check out the next article which will look at other areas of the body and shoulder that need to be addressed in order to promote shoulder healthy and performance.